I have long loved making my own homemade beauty products. Using ingredients I know and trust helps me feel better about pampering my skin. 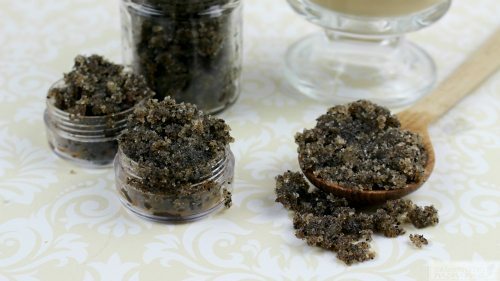 This sugar lip scrub recipe is a great idea that is safe for regular use and contains none of the harsh chemicals many products contain. 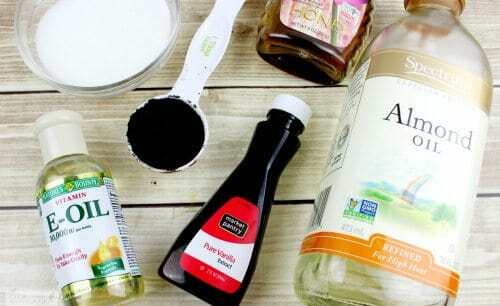 You probably already have all of these ingredients in your kitchen pantry. In fact, you can make this small batch up every few weeks and know you won't have to do any special shopping. I do add in some vitamin E oil to help make it even better for moisturizing your lips, but it isn't necessary. 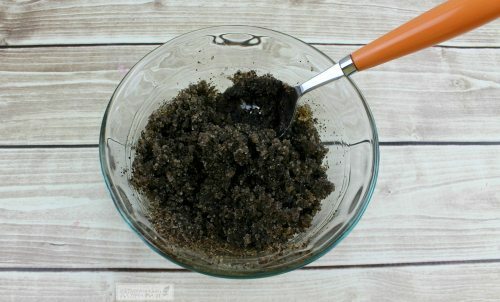 You can use fresh coffee granules in this recipe, or if you prefer to use ones you've already run through your machine, you'll find they work equally as well. Just make sure to squeeze excess liquid from the granules before mixing. Mix all of the ingredients in a bowl until well blended. Transfer to an airtight container for up to 3 months. 1. Wet lips with warm water. 2. Generously apply the vanilla latte lip scrub to lips. 3. Rub in a circular motion to exfoliate any dead cells. 4. Leave lip scrub on lips for about 1 minute. The almond oil will moisturize. 5. Rinse with warm water or wipe off with a damp washcloth. 6. Apply your favorite lip balm. 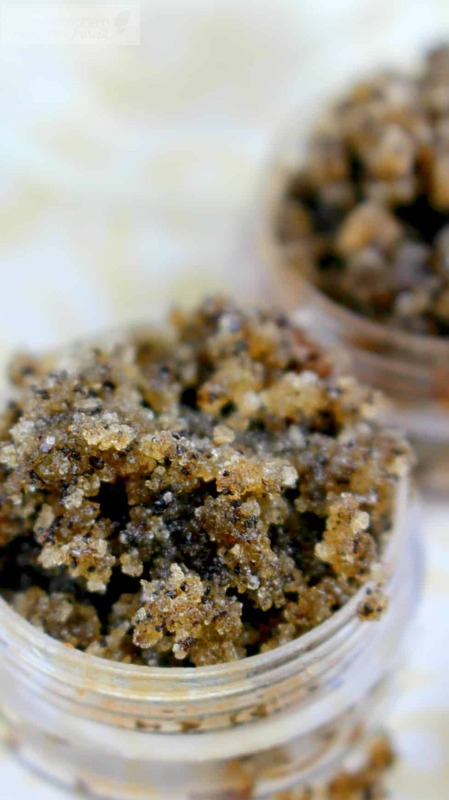 This is a very gentle but functional exfoliating lip scrub option for regular use. It lasts for up to 3 months when stored in an airtight container, and is a great option for giving as a gift. Not only is this a great homemade beauty treatment for yourself, it makes a wonderful gift! While I love making this kind of things for the holidays, they are also great for birthdays or teacher gifts. You can easily make a few batches and pour into small containers and add to a gift basket with a card or other homemade beauty product. 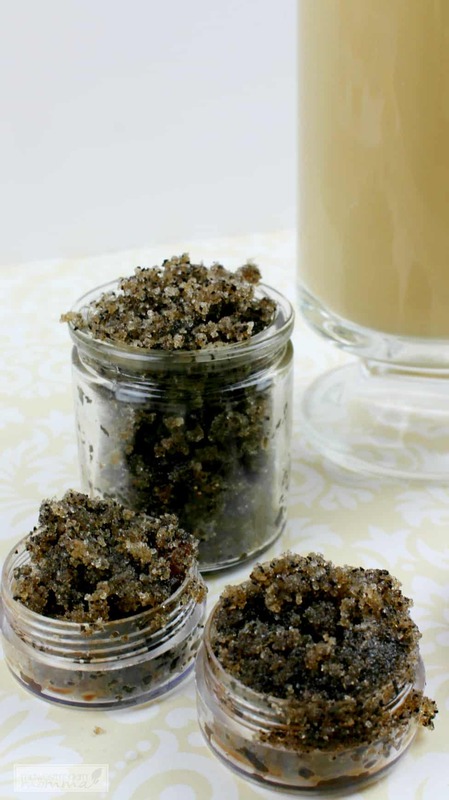 As you can see, this vanilla latte sugar lip scrub is a great addition to your homemade beauty routine. Plus, it contains your favorite scents and flavors! If you are a coffee fan like I am, you'll love this as much as I do for a great exfoliating scrub option!